Everyone deserves a second chance. This October 17, celebrate National Mulligan Day and enjoy the comfort in knowing that if at first you don’t succeed, you’ll get another crack at it. Though often associated with getting a “freebie” after a less than desirable golf shot, National Mulligan Day applies to any undertaking in which you would care for a “do-over.” Mulligans are for those with the determination to fight through the adversity of the mishaps of life. Let’s be honest — we all need a mulligan from time to time. ​In July of 1985, journalist Don Mackintosh interviewed David Mulligan for a column, “Around the Sport Circuit," where David confirmed stories about his “additional shots." ​The United States Golf Association claims that the term first achieved widespread use. Essex Fells C.C., New Jersey for the word. ​David Bernard Mulligan, a Canadian golfer and one-time manager of the Waldorf Astoria Hotel in New York City, would often ask for a second shot off the first tee, coining the term “mulligan." ​Yet another version of the truth about the origin of the term “mulligan” states that it comes from Thomas Mulligan, a minor Anglo-Irish aristocrat and passionate golfer. 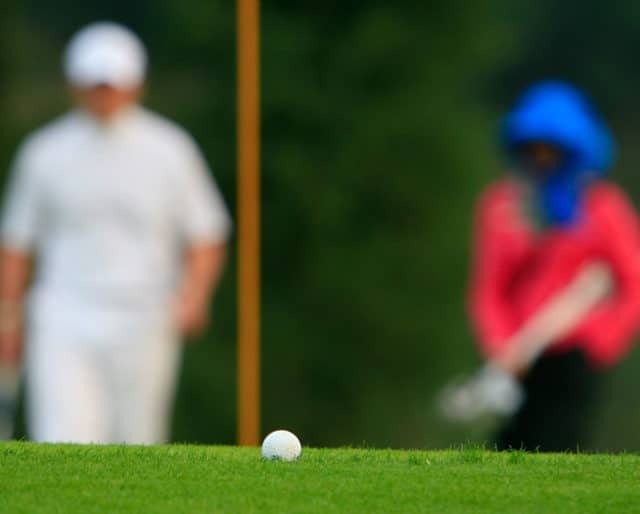 The term “mulligan” is originally associated with golf, so why not use it on a course. Gather up some friends, have some laughs, and enjoy a round of golf where you only keep score with the shots you like. Enjoy round two of your previous meals and taste just how good a “second helping” can be. Though it may take some time to master, think about how amazed friends will be when you can show off your new skill in public. ​"Sometimes life gives you a second chance, or even two! Not always, but sometimes. It's what you do with those second chances that counts." Although we all want to get things right on our first attempt, immediate success is rare. Embrace your human faults, and rather than admit failure, take a deep breath and try again to get it right. Realistically, we not only need more than one try to achieve our goals, we often surpass them with practice. No one, ever, has done everything in their lives perfectly on their first try. So don’t fret: The “try, try again” club is a big one. A mulligan, more than anything, is accepted cheating. Mulligans are not secretive or sneaky. They're a blatant disregard for the rules that a competitor happily ignores — with the understanding that they may ask for the same kindness later.